2018 has been a year of travel for me. I’ve journeyed wide and far through the US and off to adventures in Mongolia as well. But this November 29- December 2 I found myself in the farthest reaches of Williamsburg, Brooklyn in New York City for the sixth annual Equus Film Festival. This was my second year attending the event as an author. My first year, which I detail here, was my first book signing. What can I say? Go big or go home. I was the new kid on the block in many ways and I met fantastic and inspirational people around the world. This year has been one for the record books and I’ve learned and experienced so much. Most importantly, I’ve connected with incredibly inspirational and passionate people around the world who have motivated me and supported me, as much as I hope I have done the same for them. Located at The Wythe Hotel, the event began Thursday evening with the Welcome Reception Party at Roberto Dutesco’s Wild Horses of Sable Island Gallery. Surrounded by the glowing portraits of wild horses at their most natural, authors, filmmakers, and artists gathered together. Introductions were made and individuals stories were told, connecting us through the universal language of the horse. I had the pleasure of meeting and speaking many people, including German director, Leonhard Hollman, whose moving film Silent Comrade was featured in the New York Times that very day. The world is small, and we found that our travels in Mongolia linked us together as we shared our stories. International Director’s Panel at the Equus Film Festival. I spent Friday in the Pop-Up Gallery with my books and watching the short films while networking with other creatives. Saturday In addition, I helped to film the informational panels which included Book to Screenplay and Film, Adventure Rides, and the International Directors panel among many others. It was supremely interesting to learn more about each project and the work behind them. We ended the day with a regional American Horse Publications gathering at the cinema bar. Sunday was the ultimate day of the event, showcasing films and culminating with the WINNIE awards. These awards celebrate storytellers who show the rich history and diverse tapestry of horses in human culture through exceptional equestrian content. I’m proud to note that many of my friends, new and established, were recognized for their hard work. We were laughing that most of our row had trophies! That being said, something amazing happened and Diana de Rosa and Lisa Diersen, co-organizers of the Equus Film Festival, called the name of my book, Confessions of a Timid Rider for Best Literary Non-Fiction- English! My friends had to nudge me because I couldn’t even believe it! Even without the award, this would have been a successful weekend. I watched films that both moved me and made me cry, added to my list of must-read books, and spent time with friends who share the same passion. The Equus Film Festival is held annually in New York City but also travels throughout the US and Canada periodically with tour stops. Tickets may be purchased for a half day or full day, and you will not be disappointed. If you truly cannot attend in person, many of the films, documentaries, clinics, and more are available on their on-demand channel, Film Festival Flix, available through subscription. As much as I have challenged myself this year, I don’t want to put the focus on myself. I want to inspire those other timid riders whether they are returning adult equestrians or young girls too hard on themselves. I want to motivate those out there who are just starting their own businesses or want to pursue a dream but don’t know where to start. 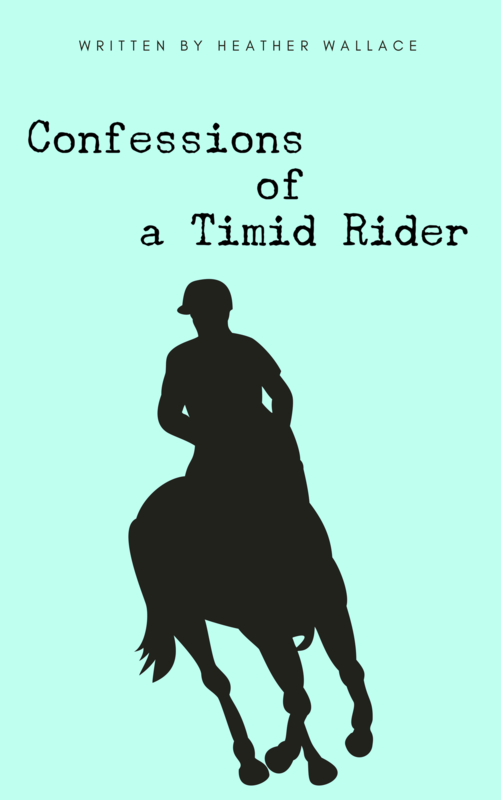 So, please join my private Facebook group, The Timid Riders. This is a safe, motivational page where we can all share our progress, overcome our self-doubt, and cheer each other on!